Outdoor long LED modules offered by us enable you to increase your company recognition even in the most crowded of market places. Placing one or more of our LED signs outside your shop or other facilities will undoubtedly attract new businesss development opportunities. All outdoor long LED modules can be of various sizes. All contain user-friendly text and image transfer devices and also mounting elements for the proper suspension of the display. Long LED modules can be especially helpful for banking and financial companies, transportation facilities, and retail outlets of any size, etc. They can display both discounts, interest rates, discount rates, new bank account criteria, banking and shop related product advertisments or affiliate information, etc. 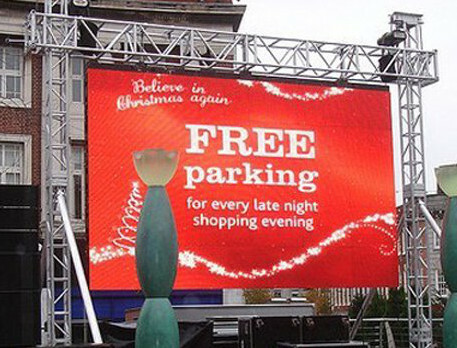 All outdoor LED screens contain a scrolling or dynamic text technology.